Now even more silent! The new OPUS-devices are pleasantly silent and still offer the usual powerful aspiration. The OPUS3 is the basic model with an easy to use keyboard. Controller dims: (L x H x D) 320 x 125 x 220 mm. 12 month return to base warranty. Now even more silent! The new OPUS-devices are pleasantly silent and still offer the usual powerful aspiration. The OPUS II is the top model of the 30.000 rpm motor range and convinces with high performance. A combination of experience over years in design and the latest insights of modern podiatry. Controller dims: (L x H x D) 320 x 125 x 220 mm. 12 month return to base warranty. NEW GERMAN MANUFACTURED DUST EXTRACTION DRILL. 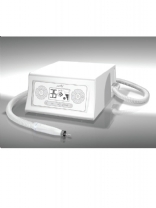 Lightweight 30,000 rpm ergonomic handpiece with integrated extraction. NEW GERMAN MANUFACTURED DUST EXTRACTION DRILL. 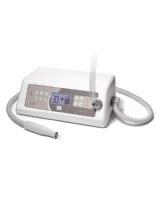 Affordable podiatry drills at the highest standards in modern foot care. 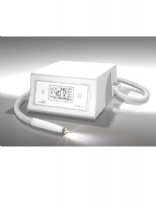 The podoTRONIC range of equipment is surely unique in its diversity and is compliant with superior quality standards by conviction. 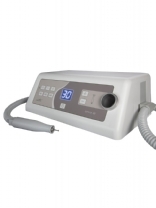 PodoTronic Podiatry Drills are popular because of their state-of-the-art technologies, contemporary design and user friendliness.